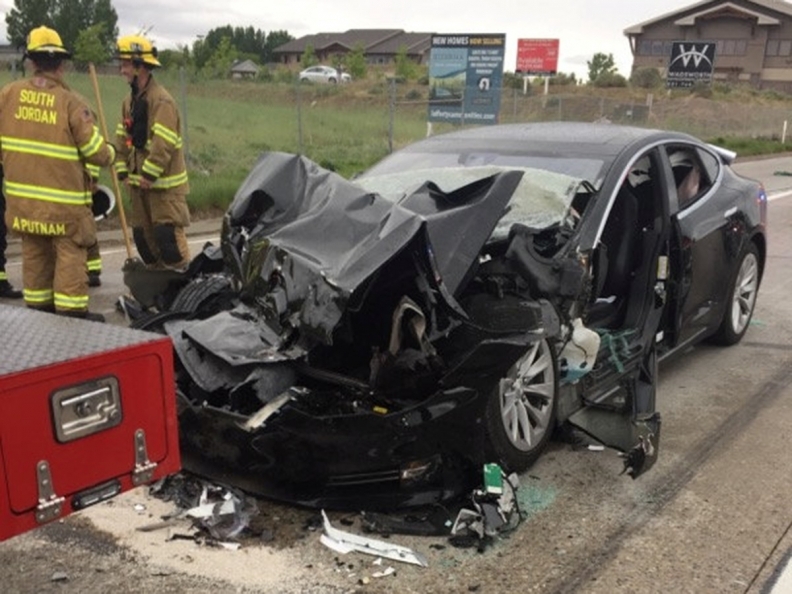 A Tesla Model S is seen after it hit the back of a truck in the U.S. state of Utah. The driver of a Tesla Model S that crashed into a fire authority truck in the U.S. state of Utah late Friday told police she was using the car's Autopilot feature at the time of the accident. The Tesla was traveling at 96 kph (60 mph) when it hit the truck, which was stopped at a light.